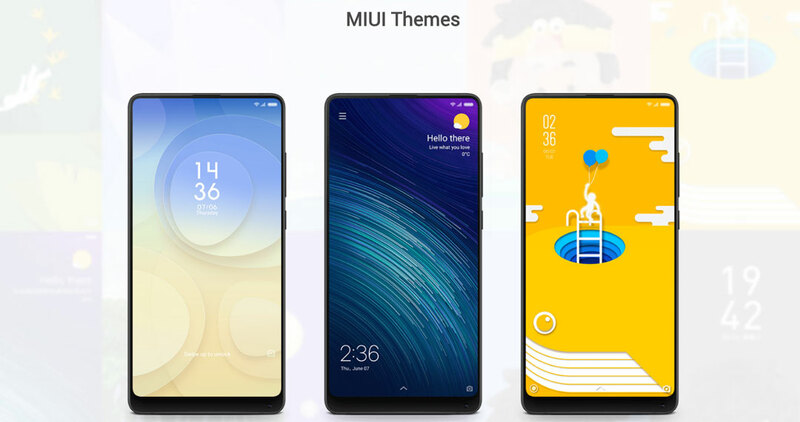 Do you want to maximize your knowledge about MIUI and become a part of our MIUI family? 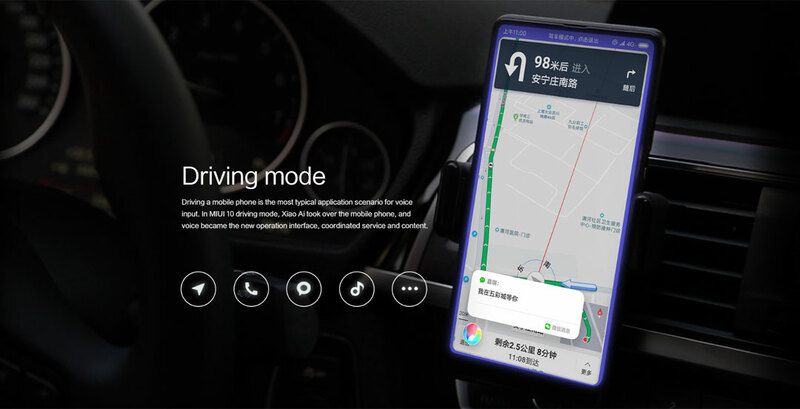 Do you need to update or restore your MIUI ROM? 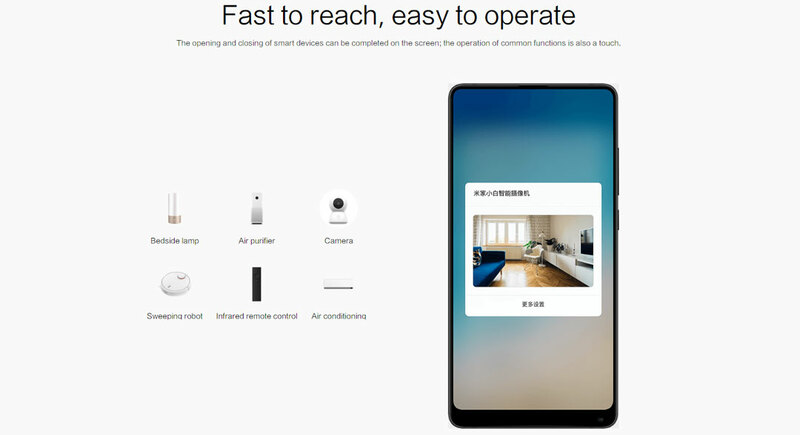 Do you wish to find all the latest news about Xiaomi ecosystem devices? Join the international MIUI FAN community! a forum for real fans discussing news and features of firmware. presented in the form of neat cards with rounded corners which rhyme with hardware elements. content take the front stage. In MIUI 10, we handle Recents in a completely new way. Optimized for 18:9 screens, Recent feel much more straightforward and intuitive now. to hear it again after having used your phone in Silent mode for ages? Humans have been listening to Nature for thousands of years. We still aren’t tired of it, are we? 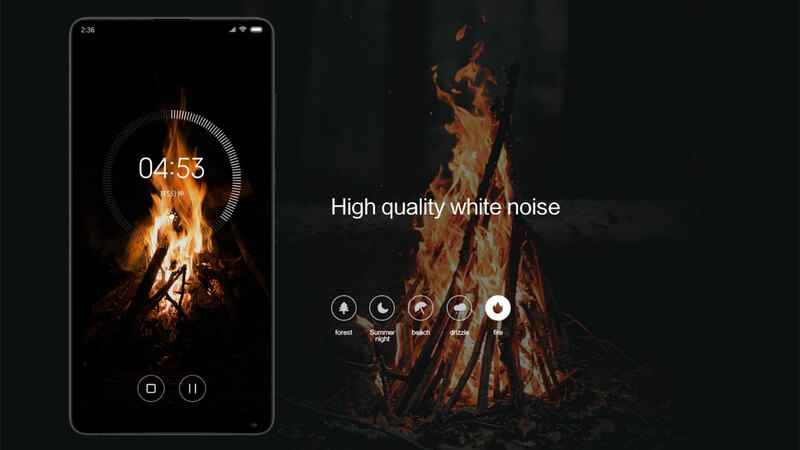 Setting a timer, you can select a sound and listen during the countdown. That way, the timer comes in handy not only when you boil eggs, but also when you need a moment to relax and concentrate. 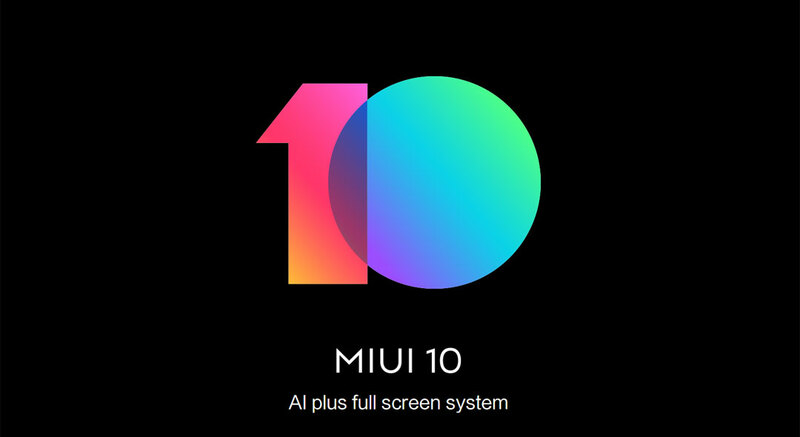 In MIUI 10, you’ll probably spend zero seconds waiting for the app to load in most cases and go directly to the start page after tapping the icon without having to look at the loading progress bar. This works as fine with third-party apps as it does with system apps. 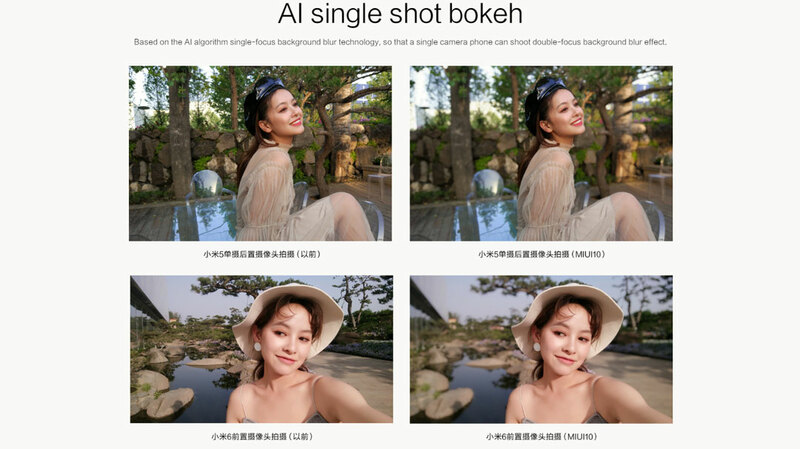 These devices will support AI Portrait mode after upgrading to MIUI 10. More devices will be compatible soon. Stay tuned. One-stop spot for all your most used features and info. Make use of specific features without searching for them. Call cabs, take notes, view upcoming events, and many more. 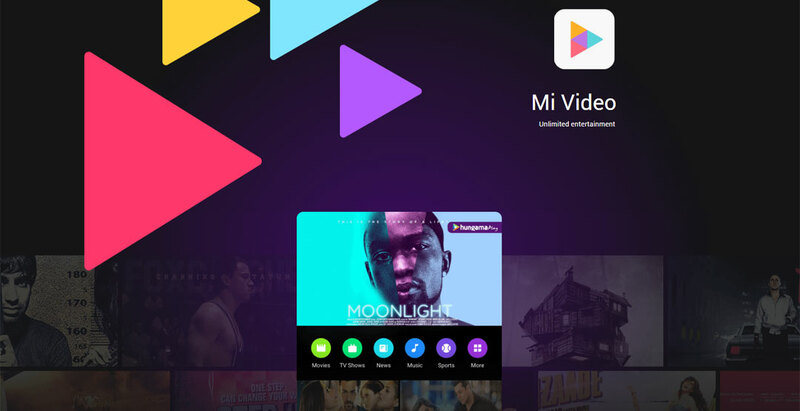 Mi Drop is supported by all Android devices running Android 4.4 or later. It doesn’t require an internet connection to transfer files to your friends and can boast speeds that leave Bluetooth far, far behind. Supporting most file formats, it allows you to share images, songs, videos, apps, and much more. 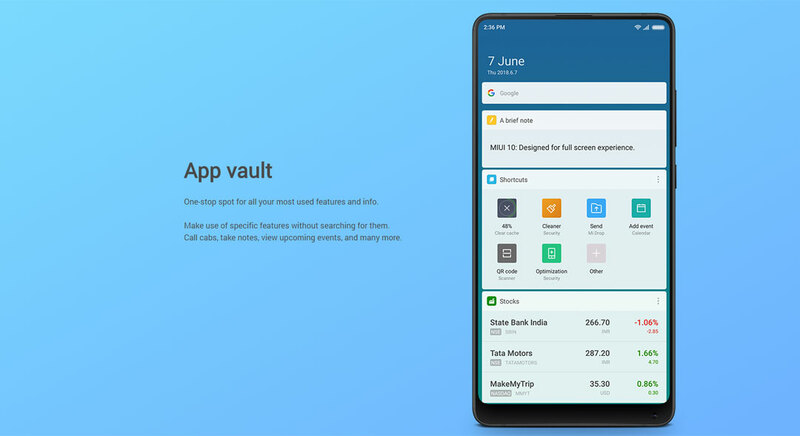 Besides the essential features which include quick search, copying, moving, and deleting multiple items at once, File Manager supports all major file types and allows you to deal with all storage and format-related issues completely hassle-free. Create and sign into dual accounts for any app, including WhatsApp, Facebook, and more. Use different passcodes or fingerprints to access different profiles, each with its own wallpaper, apps, files, and photos. Perfect for times when you need a clear separation in your life! 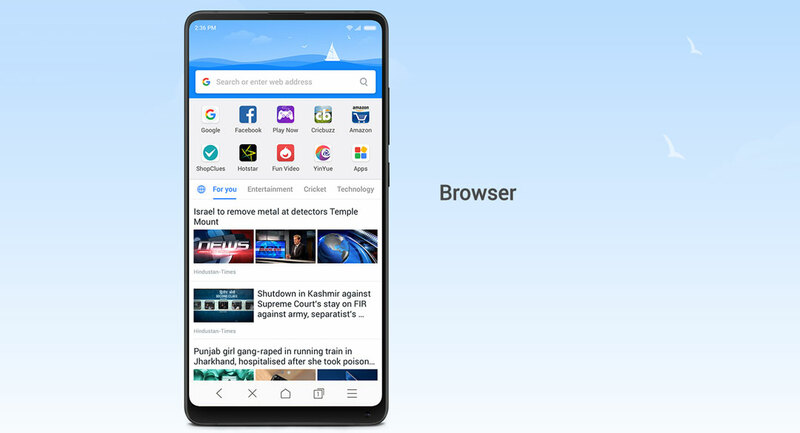 Take scrolling screenshots of web pages and news articles. Crop, doodle or mosaic before sharing with a friend. 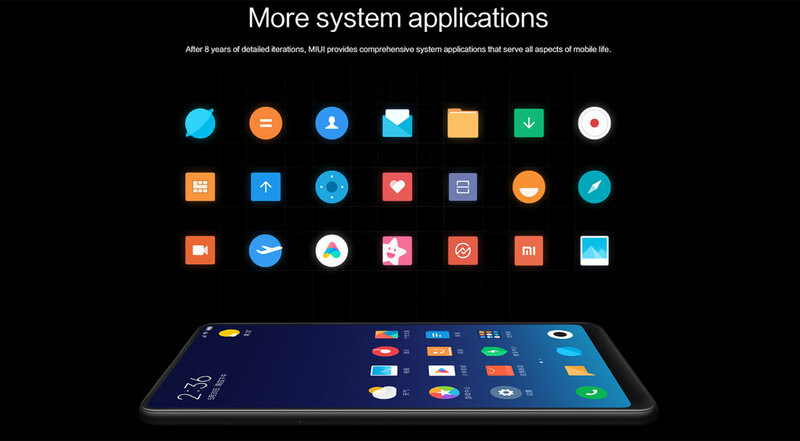 MIUI comes with a comprehensive range of system apps that provide a suite of services for daily use. Stream online content across top OTT players, Content Partners, Enhanced player Online. Loads of custom-made themes, stunning wallpapers, fancy fonts, and more. Make your device truly yours. 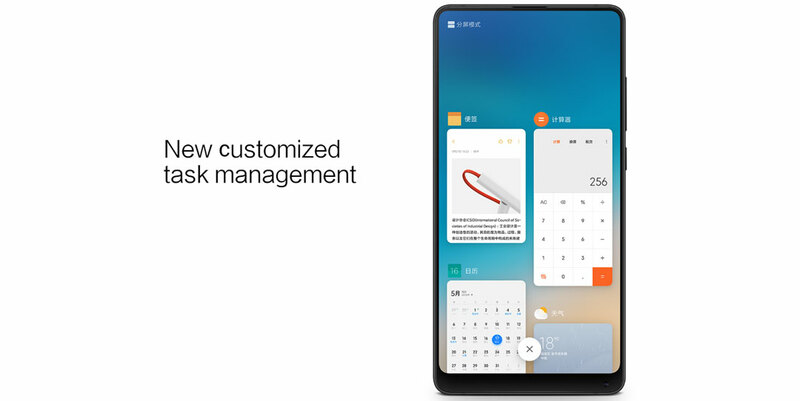 MIUI 10 now recognizes your train ticket SMS messages and intelligently turns them into simple cards with all the important information on it. Secure, convenient backup for your photos, messages, files, and data that syncs across multiple devices. Locate or reset your device from any browser.